A mother is the one person her children should feel very safe with but this mother, rather than protect her child, did the exact opposite. Laura Coward drugged her 9-year-old daughter, Amber Lucius, with sleeping pills then when she thought the girl was dead, she put her in the family's truck and set it on fire. No one was aware of the crime until Amber was reported missing in August 2014. 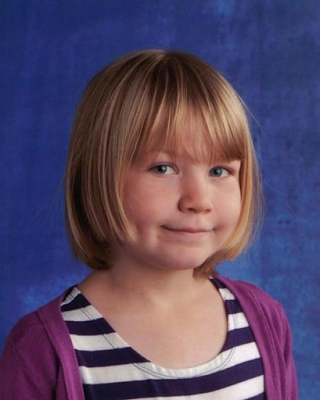 Her mother became a prime suspect and was arrested two days later in Alberta, Canada. Last month, Laura pleaded guilty to second-degree murder of her daughter while in a Calgary courtroom. The judge labelled Laura's act the ‘ultimate senseless betrayal’. She has been sentenced to live in prison with no chance of parole for 18 years. At her sentencing hearing last week, Laura begged her daughter's father and her family and friends for forgiveness.